Here domestic and international courier services are available. We are giving free pickup facility. We are giving very competitive rate. You can get best service at best price. 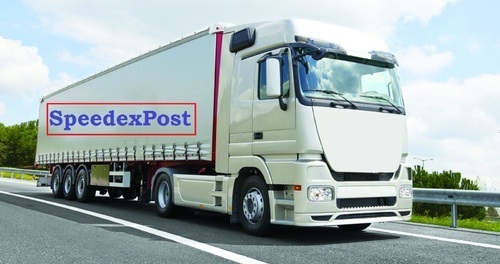 SpeedexPost Courier Services is a partnership firm and our head office is located in Surat, India. We are providing domestic & international courier services. We are professionally managed and focused to provide you the fastest door to door delivery of all your domestic and international consignments through our trusted service partners. Our services are well known for timeliness, safety and reliable approach. We are offering different services like free pickup facility, online tracking, Documents or sample parcel shipping, air shipping services, sea shipping services and cargo services etc at a competitive rate. Our staffs are also well trained and desirous to assist you in every possible step. Once your parcel is in our hands, you can be rest assured that it would be delivered at high speed to the desired destination with utmost care. Our ambition is to become the number one courier service in entire world with our exclusive features like timeliness, safety, reliable and economic. So that we can become the customer favourite courier service in the world.